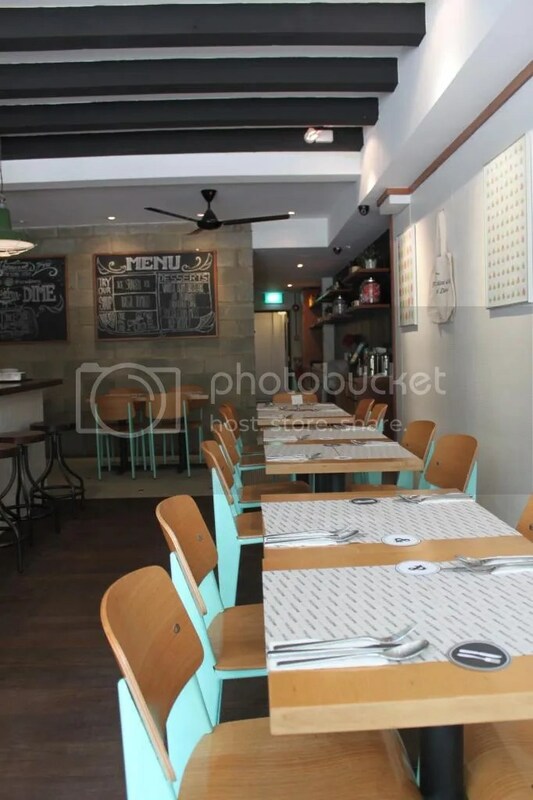 Foodie Family Fun @ Five and Dime Eatery, Singapore | hello it's ming. I have always loved these dining outings with my family, especially now when I the time I spend with Mama and Lil’ Bro is rather limited. It provides an opportunity to explore and experience new things together as well as share our stories, thoughts and amateur food critiques ;)! The photo below only reinforces to me the joys that my family brings me every day. To say that Singapore’s cafe scene has grown over the past few years would still be an understatement. 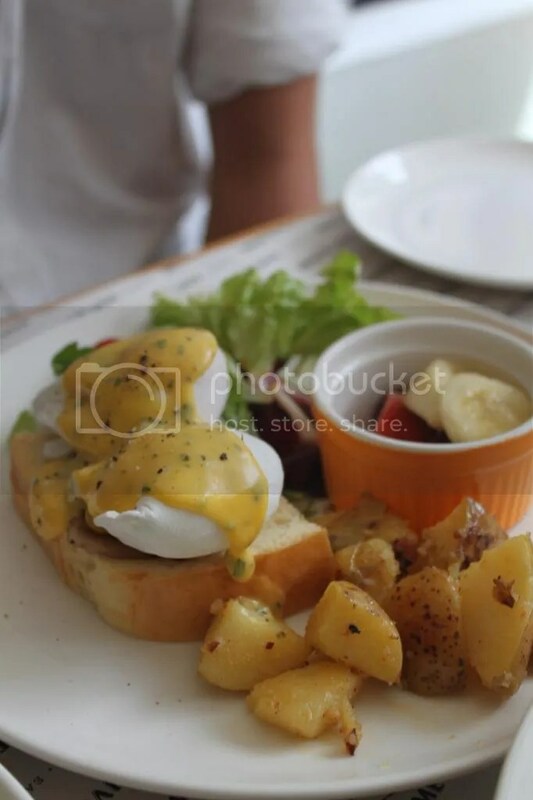 At present, there is no shortage of cafes to choose from when Western dishes or hearty breakfast fare is being craved; a far cry from a time where I remember McDonald’s being the only place we would visit to appease Lil’ Bro’s desire for ‘non-hawker’ food. 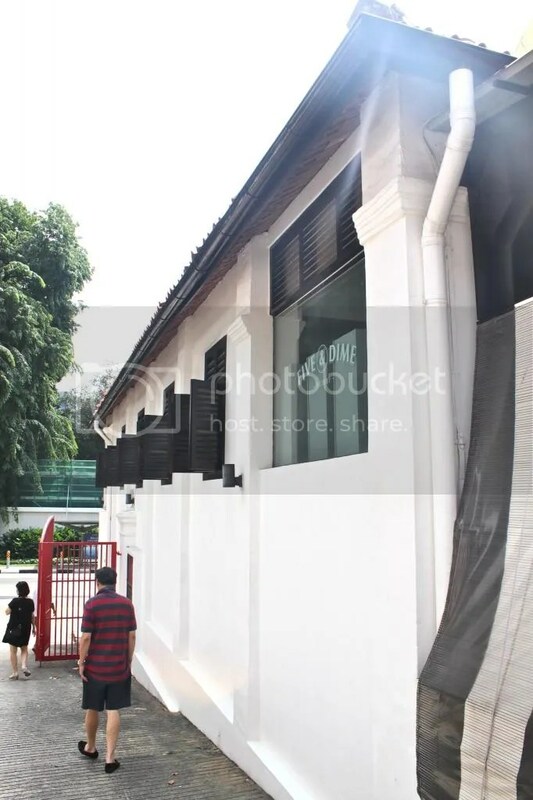 Singapore has what appears to be an infinite list of cafes making their mark across the island city in unique locations, however there are certainly a few which have stood out. An animation to whet the appetite…. 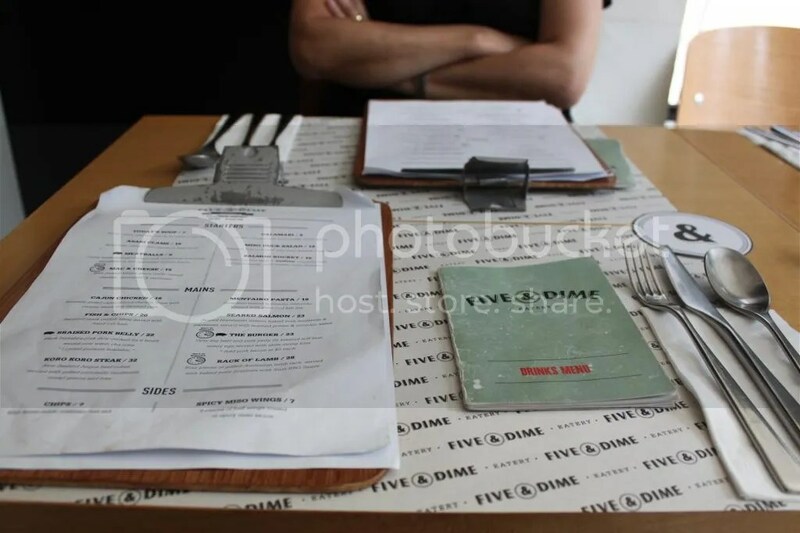 Five and Dime Eatery is another one of the consistently trending cafe/restaurants, which I had been meaning to try since its existence first surfaced on Instagram. 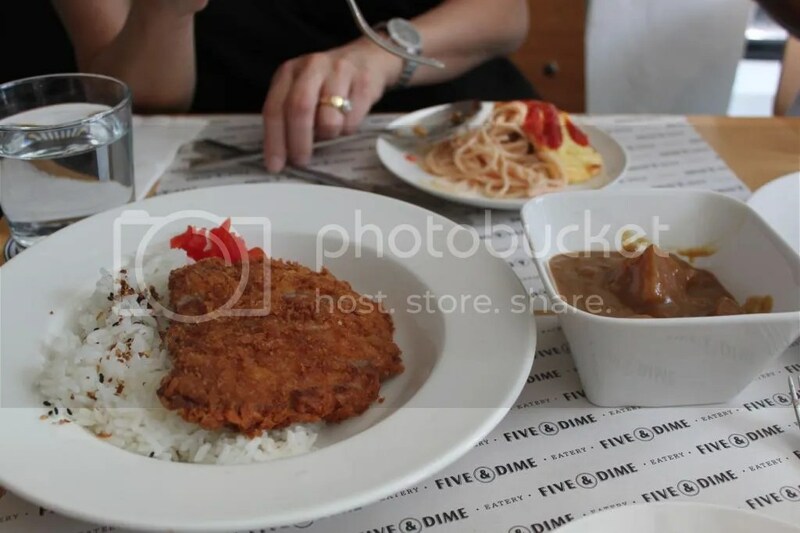 Unlike the typical brunch/lunch fare, Five and Dime adds a Japanese nuance to its menu. Although found on a main road, the eatery itself is a converted old-style bungalow, embodying a homely atmosphere while retaining a certain quirkiness in its deco. I find that I tend to base visits to new foodie venues on a featured dish. 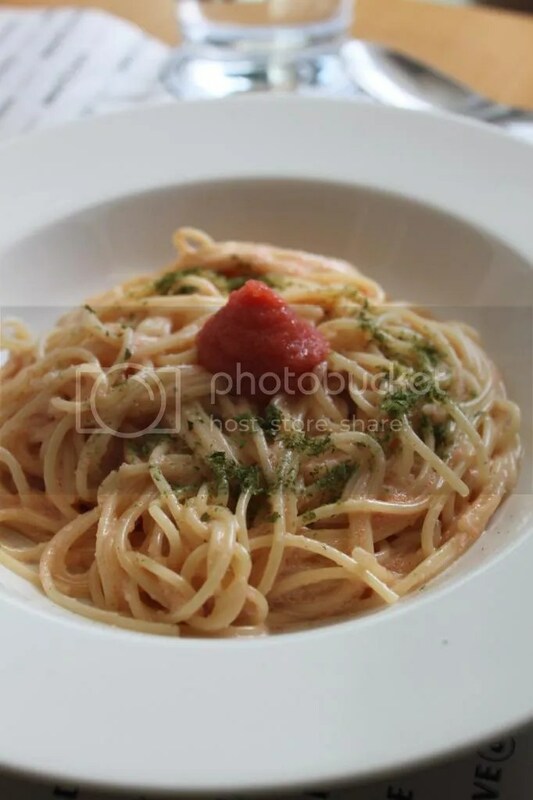 In this case, the ‘to-try’ dish which I had my eye on was the Mentaiko Pasta, highly photographed and shared on Instagram. Scrolling through the medley of Instagram squares belonging to the lovely Feline (@furreen) and Averlynn (@chaverry) provided confirmation that I had to put Five and Dime on the family dining agenda. Although some have found the dish to be slightly too salty, the family loved this dish. The pasta was cooked al dente and the cream sauce was not too rich, balancing the saltiness which I assume came from the Mentaiko. Lil’ Bro ordered the Eggs Benny (with two wagyu slices) and provided a helping hand with the Omu Rice and Katsu Curry. 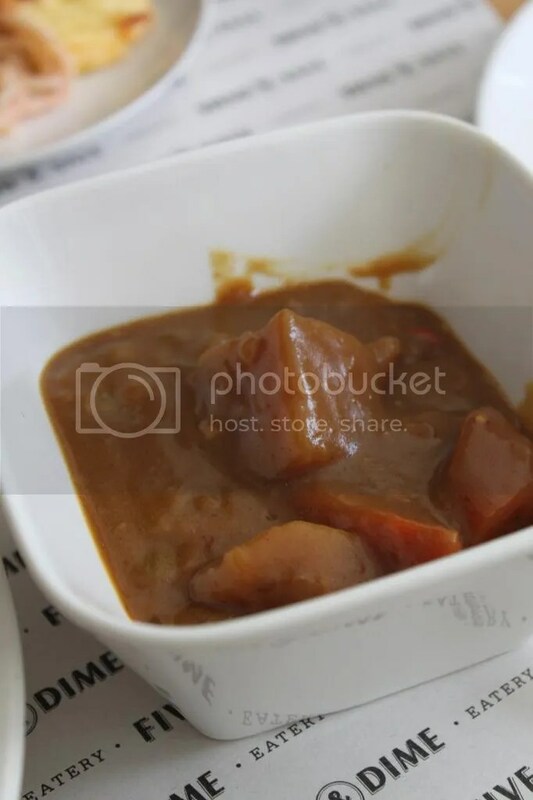 It was agreed that the Katsu Curry was a favourite, alongside the Mentaiko Pasta, although it had not been as ‘trending’ as its partner. 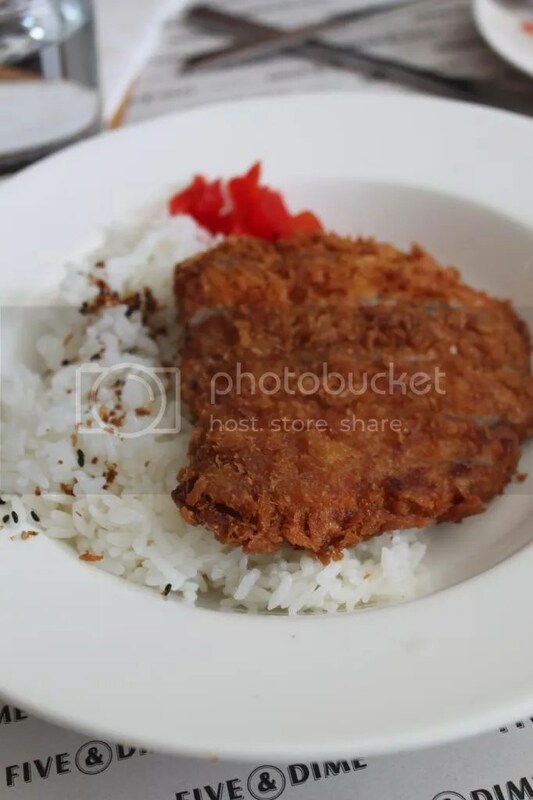 This is a dish for Katsu lovers as the crumbed pork fillet was perfectly crispy and accompanied by what I felt to be a rather authentic Japanese curry sauce. This is not to say that the other two dishes were not worth ordering. 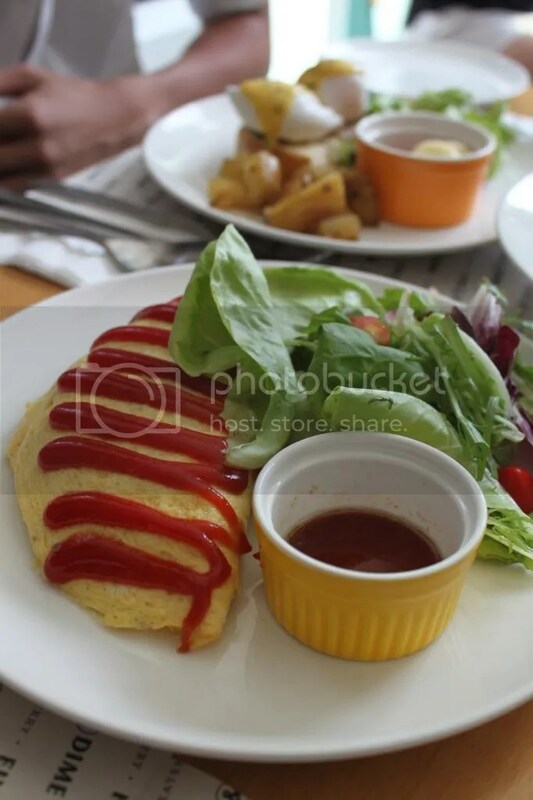 The Omu Rice encapsulated in a light and fluffy egg exterior was delicious, however I would personally find eating the entire serve to be too heavy – sharing is great in this case! Lil’ Bro cleared up his Eggs Benny so I would infer that they were very much enjoyed. The dessert list was too tempting to ignore. 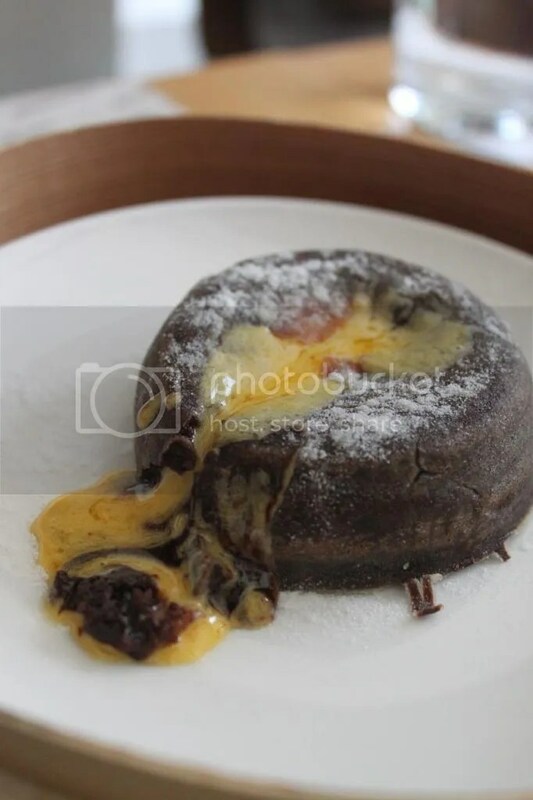 The ‘limited portion’ Chocolate Lava Cake with Salted Egg Yolk Custard innards was the first item to catch Mama’s attention – “Limited portions therefore must be ordered”. 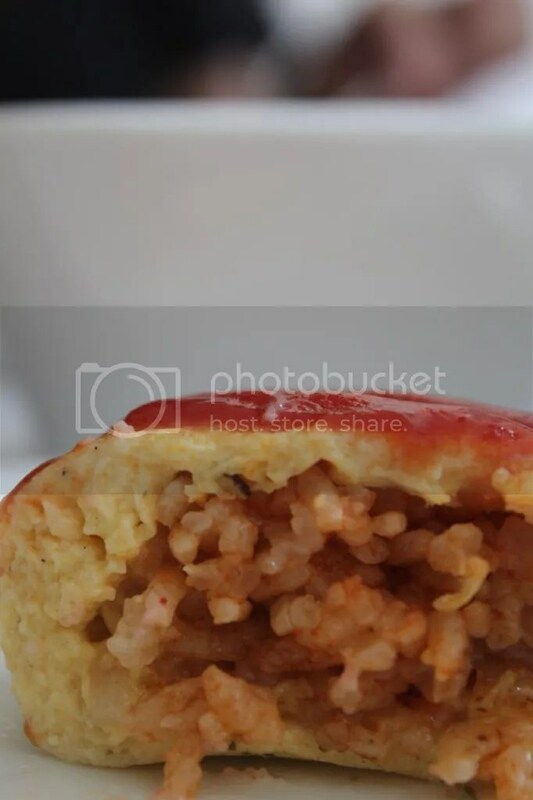 Presented ‘dim sum’ style, this deceptively simple and unassuming looking bun was reminiscent of the Liu Sha Bao. The runny innards were not too sweet and paired surprisingly well with the chocolate exterior – usually the exterior is a slightly sweet steamed bun. Lil’ Bro has an unspoken rule; if cheesecake is on the menu, it will be ordered. The special of the day was a Vanilla Bean Cheesecake, with a perfect crumb and distinct vanilla flavour that was not overpowered by sweetness and the cheese itself. 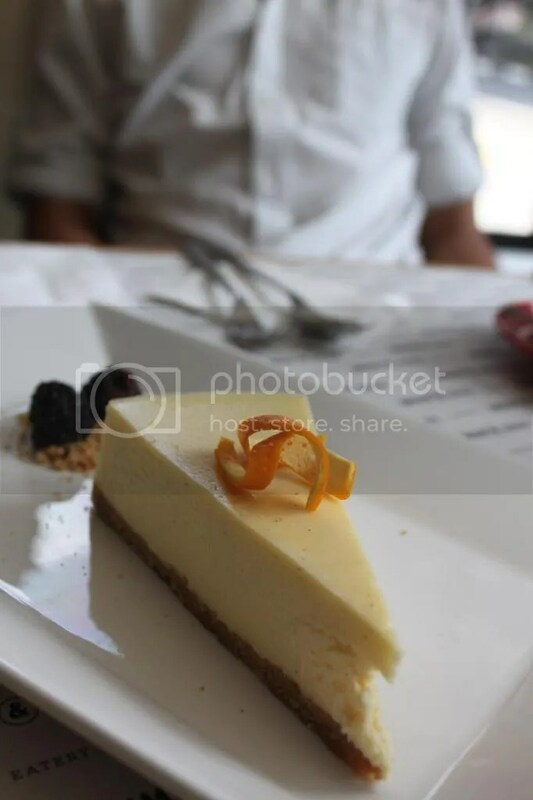 The intrinsically rich nature of cheesecakes makes them a good dessert when shared with a group of people or a brother with a hearty appetite for desserts! Lil’ Bro and Papa opted for coffee which was served steaming hot; bonus points as I have a slight aversion to luke warm coffees. 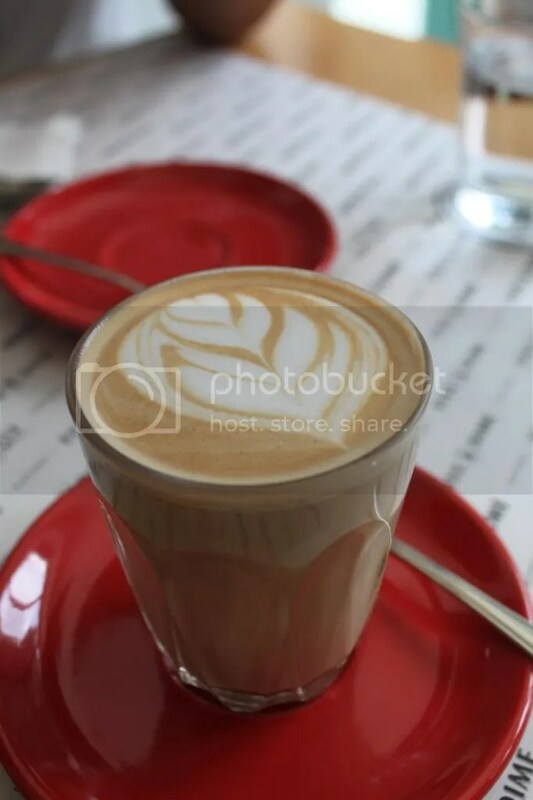 From my taste test, the coffees were quite good – definitely not at Sydney standard, but of course that is quite hard to meet! I would recommend Five and Dime for those looking for a break from local cuisine. There is flexibility in dining at this eatery due to the eclectic menu, containing Japanese, Western and Fusion dishes. The environment was relaxed and comfortable and service was attentive and polite. Thumbs up from my favourite dining companions and myself! This entry was posted in Breakfast, Brunch, Cafe, Cake, Cheesecake, Chocolate, Coffee, Curry, Dessert, Dim Sum, Eggs, Fusion, Fusion/Modern, Italian, Japanese, Pasta, Restaurant, Singapore, Souffle, Steak, Summer, Uncategorized, Winter and tagged benedict, Breakfast, brunch, cafe, cheese cake, chocolate, chocolate lava, coffee, curry, dinner, eatery, eggs, five and dime, five and dime eatery, foodspotting, fusion, hello its ming, holidays, japanese, katsu, Katsu Curry, latte, latte art, lunch, mentaiko, mentaiko pasta, molten chocolate lava, omlette, omu, omu egg, Omu Rice, pasta, river valley, river valley restaurant, salty, Singapore, singapore food, singapore foodies, spaghetti, western on July 21, 2014 by helloitsming. that ooze on chocolate lava cake! my my! Whoah salted egg yolk custard sounds amazing! Love the animation – that custard in the lava cake looks amazing!